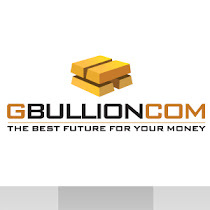 Official GBULLION Blog: The Upward Trend is Here and It is Here to Stay! The Upward Trend is Here and It is Here to Stay! Market watchers do not expect Gold's price to rise next week, as well as they don't expect any major falls. The experts are pretty sure, that the price will stay at the current level, to be more precise it will continue to hold just under $ 1800 an ounce. According to their opinion and we tend to agree, the market doen not have any catalysts to push the price through that level. Thus the last weeks trend will most probably persist. How do Kitco News Gold Survey participants feel about the price this week? Judging by the almost 50/50 results we can say that they do not see eye to eye when it comes to the gold's price direction this week. This way or the other, the general upward trend is here and it is here to stay!